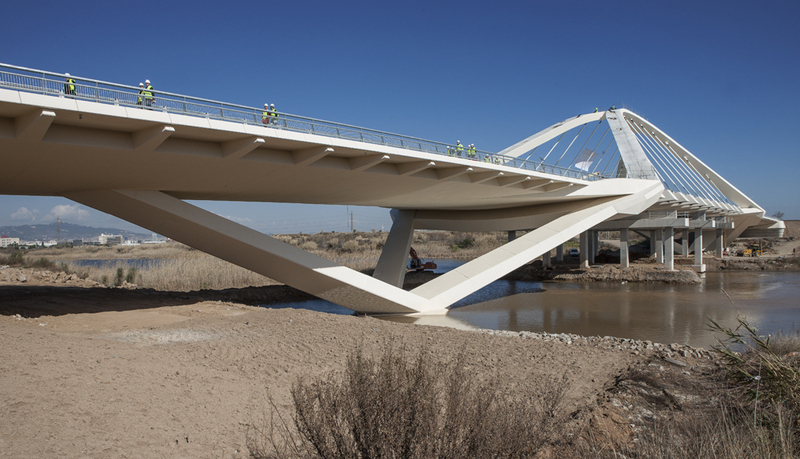 » Portfolio » The largest arch bridge in Catalonia. Spain. The largest arch bridge in Catalonia. Spain. 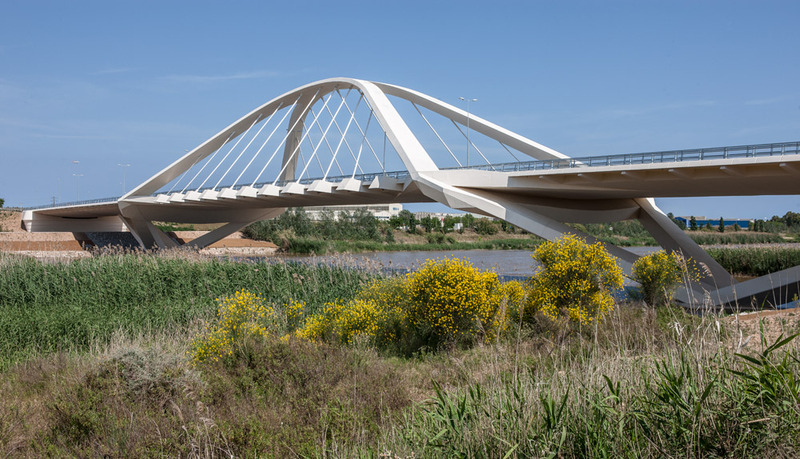 This new bridge over the river Llobregat, is located in the municipality of El Prat de Llobregat, just five minutes from the city of Barcelona. 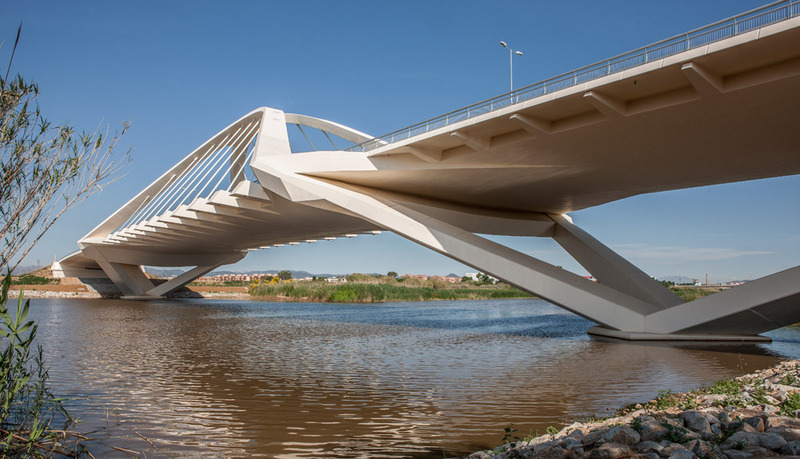 At a length of 304 m, spanning 150 m and with a 29 m working width, it is among the largest bridges of Catalonia, with the third largest free span and the first among the arch bridges. 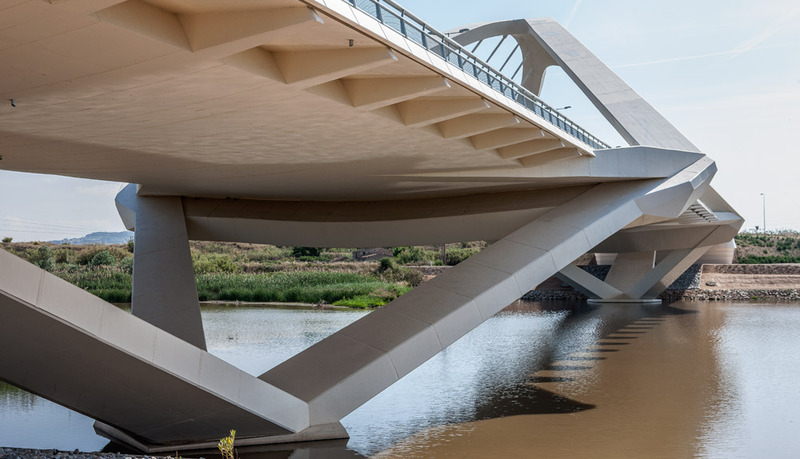 Its privileged location close to the airport landing line transforms this bridge into a new element on Barcelona’s skyline.